The New York Yankees may or may not trade their catcher/DH Brian McCann this winter but let’s pretend that they will. Let’s also pretend that I have a crystal ball and I know where he’s going to go but before we do that let’s look at some potential landing spots for McCann this winter if and when the Yankees decide to move him. Even in a down year McCann was one of the best offensive catchers in Major League Baseball in 2016 and in the wake of the Wilson Ramos injury the market for McCann should be a significant one led likely by his former team, the Atlanta Braves. The Braves have an obvious need for a veteran catcher and a new stadium they need to put butts in, why not bring back one of their own to fill both roles? They have the prospects to do it and they have shown a willingness to take on bad contracts so this seems like the likeliest of choices. Along with Atlanta is the Houston Astros, Colorado Rockies, Seattle Mariners, Los Angeles Angels of Anaheim and the Washington Nationals as potential suitors but common sense would likely drop that list down by a couple. 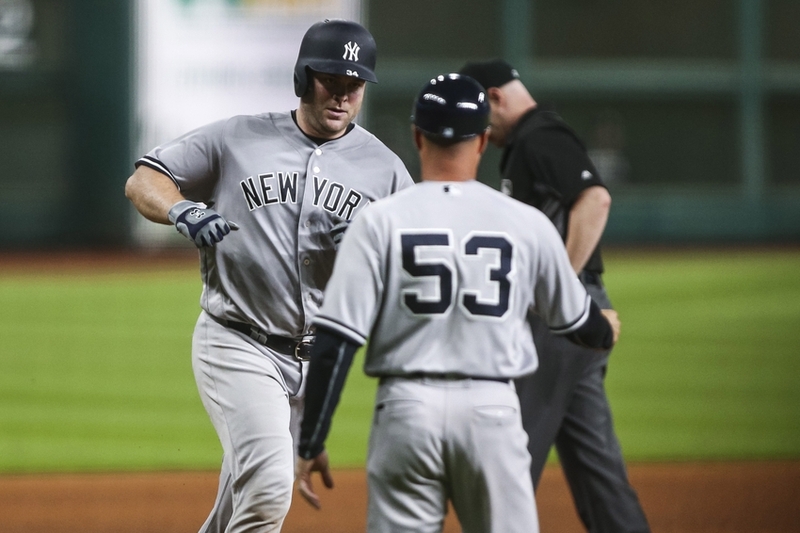 The Yankees seem unwilling to pay down McCann’s salary unless substantial prospects come back in return which would likely leave teams like Colorado, the Angels and maybe even Houston out with Seattle riding the line between contender and pretender. One team that has a serious shot at acquiring McCann though could be Washington, again especially after the injury to Wilson Ramos. It will all come down to one simple fact though in the end. McCann has a full no-trade clause. Is he going to want to waive it to play for Colorado, Houston, Seattle or Los Angeles? Not likely. Is he going to be willing to waive it to play in Washington? Possibly, a return to the National League East would be enticing and so would a shot at a World Series in 2017. Would he waive his NTC to return home to Atlanta? You have to think he would, 100%. Amazon just delivered the crystal ball. Where is McCann going? My guess, Atlanta. And/or B. McCann straight up for multiple prospects. Prob top 2 prospects and two more. Maybe more, but not much more.